Select one or many, and fill out respective information below. Minimum deposit of 50% of total price agreed, payable on confirmation of booking, balance due 21 days prior to occasion. Payments are non refundable, as bookings are well in advance and cannot normally be filled at short notice. If vehicles are required for more than the four hour minimum a rate of 50 dollars per quarter of an hour per vehicle applies and must be paid to the driver on the day in cash. 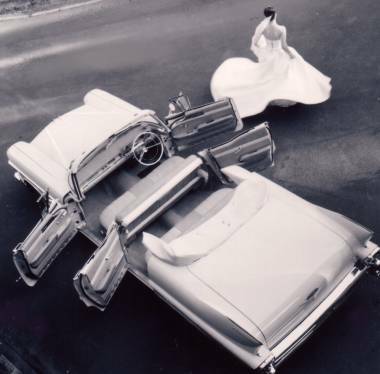 Cadillac Heaven strictly takes no responsibility for lateness caused by photographers or any other party beyond its control, alterations on the day etc. A minimum of 14 days notice in writing to changes is applicable, Execptional circumstances excluded. In the unlikely event of mechanical or accident problems another vehicle similar to the one hired will be used. Model may vary slightly and will be at our discretion. Smoking and alcohol consumption is prohibited in the cars as is sitting or lying on cars, standing on seats etc. Postal Address: P.O. Box 7382, Mount Annan NSW 2567. Based in the Macarthur Region of Sydney in NSW 2570, Australia. Cadillac Heaven provides a chauffeured limousine service in all suburbs of Sydney and surrounding areas, including inner city CBD, North Shore, Eastern Suburbs, Inner West, Western Suburbs, Ryde, Northern Beaches, Central Coast, Southern Suburbs, Hills District, Parramatta, Penrith, Richmond, Blue Mountains, Wollongong, Illawarra and the Southern Highlands.